Today, July 10th marks two years since the release of the epic film Baahubali - The Beginning in 2015. The historical drama was one film which broke every possible record and put Tollywood on the national map. 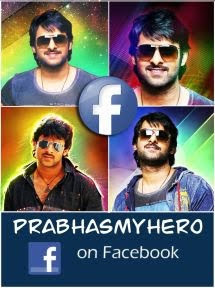 Star hero Prabhas was one of the key elements of this film and he took to his Facebook and posted a nostalgic message and thanked Rajamouli for making him a part of the team. "Today marks the completion of two years to the release of a very special film of mine, Baahubali: The Beginning. I feel a deep sense of nostalgia and I have been reminiscing the early days when the entire team was working on this film with so much passion. I want to take this opportunity to express my gratitude to all my fans who don't leave any chance to make me feel so loved and special. Congratulations to the entire Baahubali team for this day, especially the man behind all of it, SS Rajamouli. We owe it all to you." Today, Baahubali 2 is still playing in some theaters all over the country and is India’s biggest hit to date. On the other hand, Prabhas will soon join the sets of his new film Saaho by July end.